Flavorful Mediterranean cuisine alongside signature beverages and cocktails. This is a place to mingle with friends and enjoy a game of pétanque. 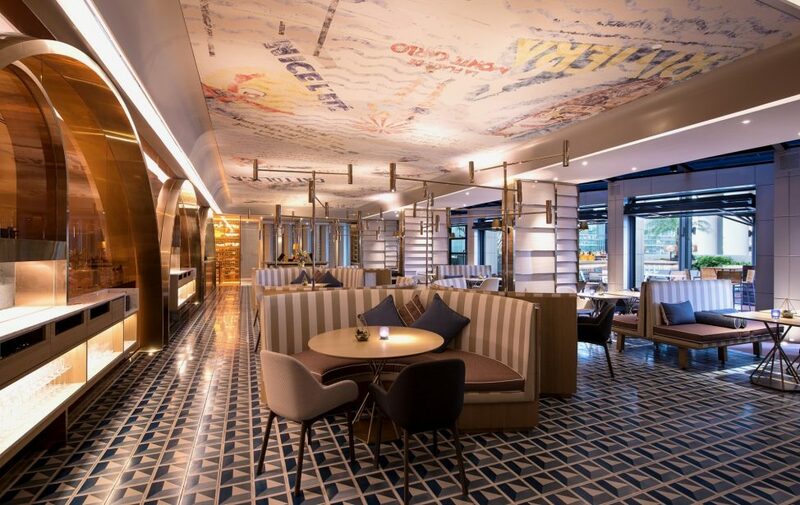 Contemplate the art deco ceiling as talented chefs entertain you from the open kitchen. Discover a contemporary space with traditional amenities, like a wine cellar and a cigar divan as you enter the restaurant. Access to the pool deck provides more opportunities for indulgence. Before dinner, indulge in our Apéro Chic, or order hot and cold tapas from the poolside menu anytime, with maybe a fun and fruity cocktail from the bar.